Ryan Leaf, the former #2 pick of the Chargers, is all in on the Chargers. Listen as Ryan breaks down every important moment, both on and off the field, for the Los Angeles Chargers. 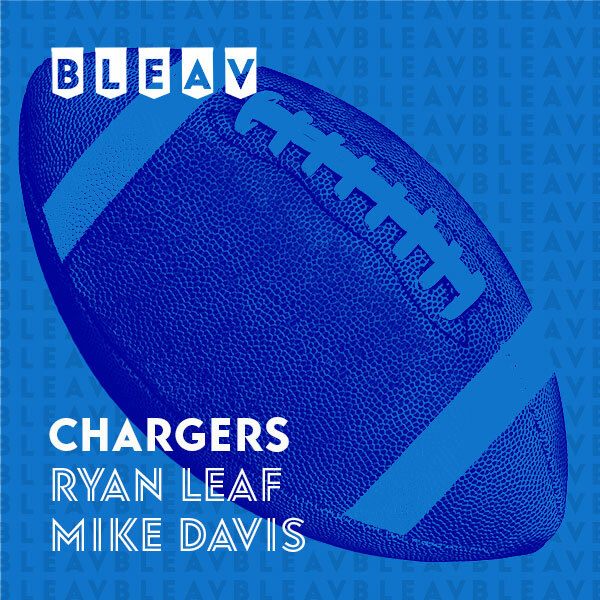 Ryan Leaf and Mike Davis breakdown the 2019 NFL Draft, dissecting and predicting the possible outcomes for the Chargers. Should they go defensive tackle? How about quarterback for the future? Is Josh Rosen in the mix? Leaf and Davis discuss all that and more! Fox Sports Host and Play by Play Announcer David Gascon joins Ryan to discuss the year that was for the Chargers and preview next weeks Super Bowl.